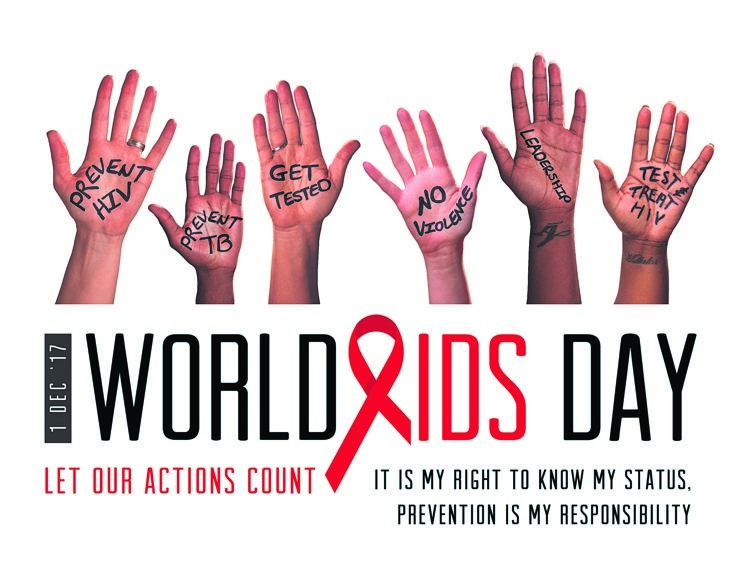 “The Right to Health” is this year’s theme for World Aids Day, which is on Friday 1 December. This 29th annual campaign, initiated by the World Health Organisation, raises awareness of the Aids pandemic caused by the HIV infection and mourns those who have died due to the disease. An estimated 7.1 million people in South Africa live with HIV, says a 2016 study by UNAIDS. This, the study found, is paired with approximately 10 000 Aids-related deaths each year. Although there is still much to be done, Stellenbosch University experts feel positive on this World Aids day, due to new developments in their research fields. Professor Faadiel Essop of the department of Physiological Sciences says that “we have come a long way in terms of managing this condition”. He is positive about the number of antiretroviral treatments that people have received access to over the last decade. Essop is also happy that HIV and Aids are now treated as a chronic condition, “whereas previously it was seen as a death sentence”. Essop and a PhD student are excited about their findings that certain HIV positive individuals show inflammation and the risk of blood clotting. This combination may lead to cardiovascular diseases, which is why Essop believes their research is significant. “This could be important to look at how one would device co-treatments to ultimately improve the welfare of the HIV patient,” he says. Professor Mark Tomlinson from the department of Psychology says that the real positive is that huge amounts of people are getting tested and are getting antiretroviral treatments. “One huge benefit of [this] is that the transmission of HIV from mother to child is reducing enormously.” His research mainly focusses on the psychosocial and behavioural aspects of AIDS. In February, his researched found that the infection of new cells can be largely prevented if a child uses therapy effectively. “My interest is achieving greater therapeutic success in patients,” he says. As of 2017, HIV home test kits are available at certain pharmacies. Nurse Linda Blignaut, however, still encourages people to get tested for the virus at pharmacies or testing centres. “There is a psychological connection when undergoing the test, which is why we want to counsel the patients before and after.” She adds that people might be embarrassed to go for testing, in which case they should use the home test. Home tests are available at major pharmacies, of which Clicks pharmacy sells it for R199. An HIV test at a pharmacy is about R60. The National Aids Helpline is 0 0800 012 322.